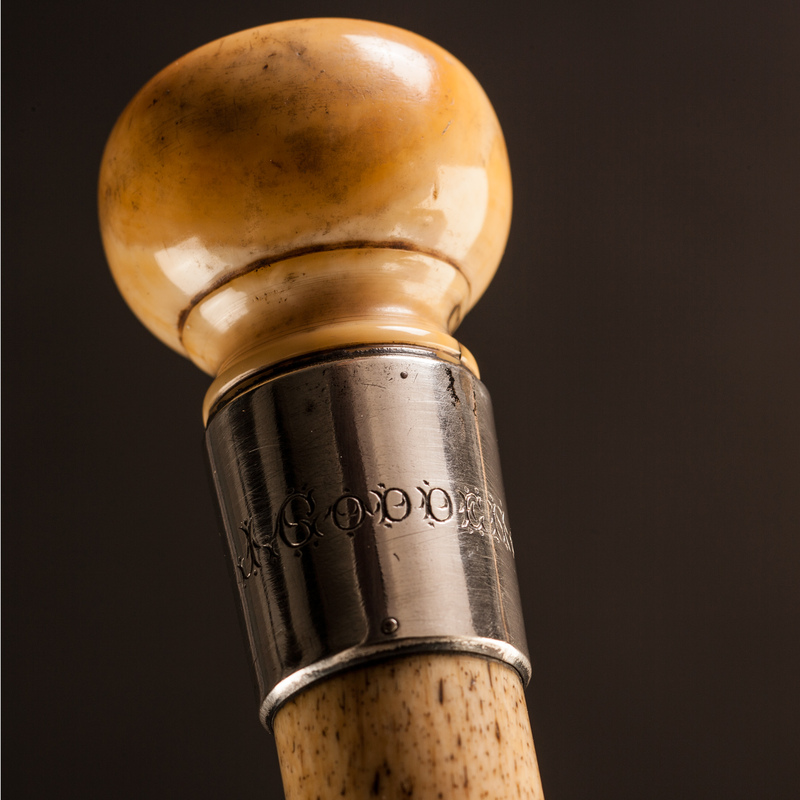 A perfectly plain, late 18th/early 19th century whalebone cane of wonderful colour and weight with a turned sperm whale's tooth handle on a shaft turned from a cut section of jawbone, pierced for a wrist-strap and finished with a steel and brass ferrule. A later silver collar engraved 'J. GOODEN' and hallmarked Birmingham 1896.